I interviewed the talented and bodaious Tuesday Laveau (@TuesdayLaveau) about the upcoming Bristol Burlesque Festival, where it started, what to expect and where is it going? 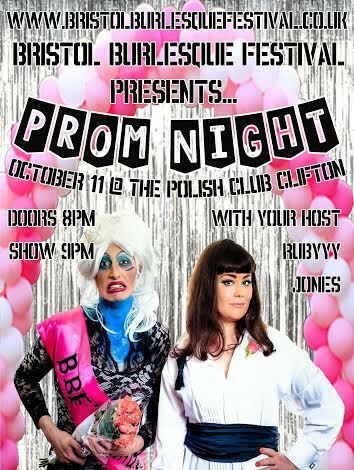 Buy your tickets here for three full nights of booty shaking, tassel twirling, heel slamming neo burlesque from some of the biggest names in the UK and beyond. So Tuesday, how did the festival start? 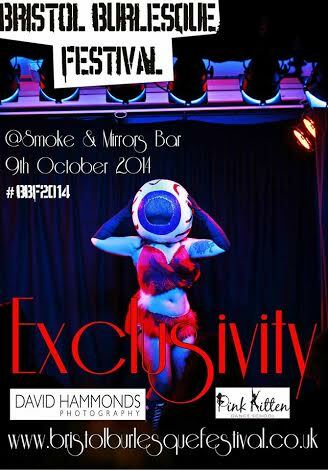 The festival was created by myself and Bristol based Burlesque Dancer/Producer Tiger Tiger (@robot_tiger) in 2012. We both had each been producing shows for a number of years prior. She created big theatrical productions and I produced tiny down and dirty bar shows, so we figured we’d combine our talents and create one hell of a show. Our goal was to showcase the awesome talent in the Burlesque scene in Bristol and the South West expanding out to the awesome Burlesque that is happening worldwide. Tiger Tiger stepped down this year to focus on her writing, and Dis Charge (@DDischarge)stepped up in to the role of co-Producer. This year, we are so proud to feature performers from London, Liverpool, Dublin, Belfast, Paris and San Antonio, Texas! What distinguishes you from other burly shows/festivals? We’re wild! We feature an array of performers and our goal is to celebrate the weirdly beautiful and the beautifully weird. Our audiences come from all over the country, all ages and the feedback that we get is that they love the variety of performers that share our stage under the glittery umbrella of Burlesque. We also have a full day of workshops to suit and interest everyone from hula hooping to balloon pop striptease Saturday 11 October at Pink Kitten Dance School. Well i am already excited, what can we expect to see at this year’s show? What has been the response to your lineup so far? The festival relies on the support of the local community – how supportive has the Bristol scene been? Bristol has one of the warmest, funniest, most talented group of women and men that you could ever hope to work with. I’ve travelled the world dancing and it’s always a pleasure to work in Bristol.